Virtual reality has become a booming business. The technology has already proven its worth in real estate and banking. In healthcare, VR also shows big promise. According to Statista, the virtual reality healthcare market was valued at $976 million in 2017. But what are its use cases? Below are some of the healthcare areas where VR is being widely implemented, and the companies and hospitals riding the wave of change. 2014 was marked by a big event—a UK doctor performed the first cancer surgery broadcast in virtual reality. About 13,000 medical students tuned in to gain experience from the seasoned professional. After that, it became clear VR would be extremely useful in training med students and upskilling their more experienced fellows. To wit, at Western University of Health Sciences in Pomona, California, the time of human cadaver examination is over. The institution uses the anatomage virtual dissection table, which allows students to take a virtual trip into the human body. Thanks to the 360-degree view, med students can see the body from different angles, take it apart, and expand the size to study particular structures. Another application for VR comes in the form of simulated operations. Future surgeons get a chance to exercise as much as needed before they take patients under the knife. And more experienced surgeons can leverage virtual rooms to learn new techniques or practice life-saving procedures. Embodied Labs, a startup at University of Illinois at Chicago, confirms VR’s potential to make elder care more sympathetic. Their program “We Are Alfred” lets learners, who are usually in their 20s, experience elderly patients’ symptoms. A VR headset, headphones, and a hand-tracking device help students understand what it’s like to have problems with hearing or suffer from macular degeneration by seeing a large, dark patch in front of them. The project is “not curative, it’s not even treatment-oriented. It’s about comforting and understanding where the patient is, so that you can be with him,” said Eric Swirsky, a faculty advisor on the project. Med students are not the only ones benefiting from VR. Used in the hospital and at home, this reality-altering tech can significantly improve patient experience. How? Mainly, by reducing the pain chronic patients suffer from. Cedars-Sinai Medical Center, one of the earliest adopters of virtual reality, gives some stats to support this idea. According to a 2017 study, 50 patients who received VR therapy reported a 24 percent drop in pain scores. And the other 50 who watched a calming two-dimensional standard video got just a 13 percent pain decrease. Less pain leads to fewer days of hospital stay and, as a result, lower hospital bills. That means VR is also a cost-cutting tool. Another related problem VR might address is opioid abuse. At the moment, the US is facing a severe opioid crisis, with more than 115 people dying daily from overdosing. And VR, being an effective, non-narcotic painkiller, might become a powerful weapon for handling this challenge. Apart from alleviating pain, VR is making great strides in managing stress. For example, the VR game Farmooo, launched by Simon Fraser University’s students, helps cancer patients get distracted during chemotherapy. Autism treatment is no virgin territory for VR, either. A Washington-based startup called Floreo developed VR scenarios that allow ASD children to practice social skills. Vanderbilt University researchers followed suit and created an adaptive VR driving experience for autistic teenagers. The solution, called “Vanderbilt VR Adaptive Driving Intervention Architecture,” (VADIA) teaches ASD users to drive and collects data on the ways they react to constantly changing situations on the road. Last but not least, VR is already assisting people with poor vision. For instance, Samsung’s Relúmĭno app helps visually impaired individuals see more clearly by adjusting color and contrast, enlarging some areas, and highlighting specific objects. Among the long list of opportunities VR offers is also assistance in studying serious diseases. Below are some cases in point. Sea Hero Quest might be another entertaining gimmick, but there’s science behind it. Developed by Deutsche Telekom, Alzheimer’s Research UK, and scientists from University College London and the University of East Anglia, this VR game stimulates the player’s brain through a number of memory and navigation tasks and gathers data to study Alzheimer’s disease. According to the creators, playing Sea Hero Quest for just two minutes delivers the same volume of data that scientists would obtain after five hours of research in a common clinical setting. “That gave us an enormous amount of information and it really allowed us to understand how men and women of different ages navigate in the game,” said David Reynolds, chief scientific officer at Alzheimer’s Research UK. Although there’s no cure for dementia, the inventors hope the game could give a leg up to earlier diagnosis and treatment of Alzheimer’s. VR is also paving the way for the creation of universal vaccines that would help doctors deal with various epidemics. Namely, researchers from the Vaccine Research Center of the National Institutes of Health (NIH) are using VR to examine viruses for weak spots, a process that is instrumental in developing vaccines against AIDS, Ebola, Zika, malaria, and other diseases. 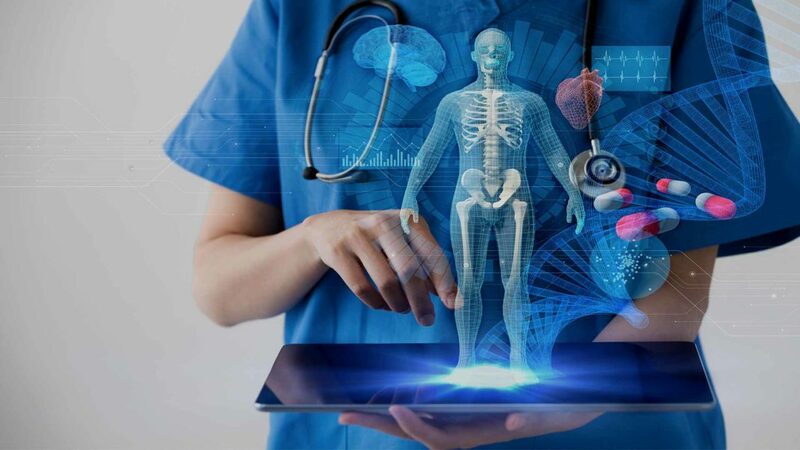 Other VR use cases in clinical research include studying tumor cells to advance cancer treatment as well as examining DNA to fight against genetic illnesses. VR is not a gimmick anymore. It has proven its value in training medical students, alleviating patients’ pain levels, and finding new ways to diagnose and treat serious diseases earlier than ever before. And taking into account VR’s potential and the first positive outcomes, it seems the sky’s the limit. 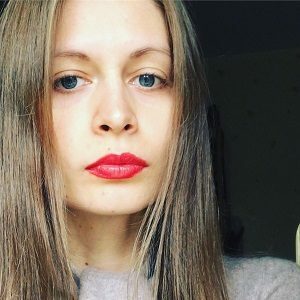 Yana Yelina is a tech journalist at Oxagile, a healthcare software development company based in New York. Her articles have been featured in Becker’s Hospital Review, Medical News, Health Tech Zone, Healthcare Works Collective, and Medgadget, to name a few.